Are you daydreaming about a Beijing holiday? You can stop dreaming! 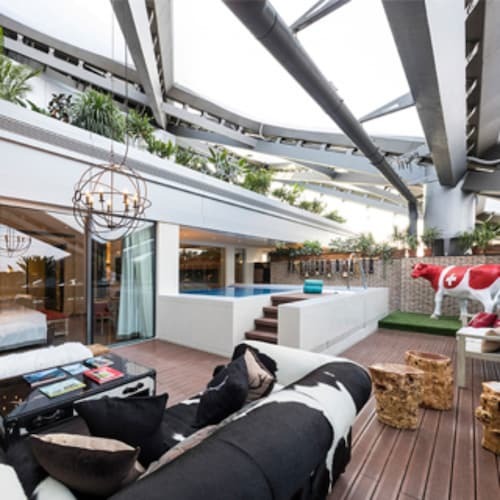 Wotif has loads of amazing places to stay in Beijing to suit all budgets. 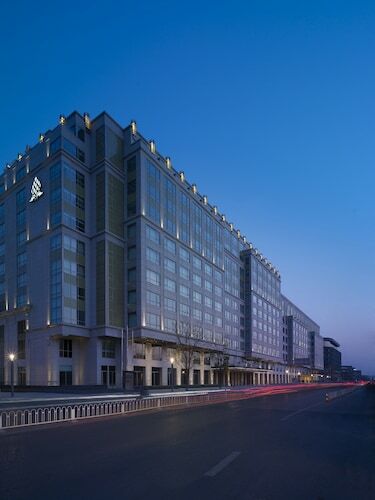 We have 831 hotel options within 10 kilometres of central Beijing. One of the keys to stress-free travel is booking a room that's close to the action, so be sure to check out the latest offers at the Hill Lily Courtyard and Rich Hotel - Beijing, which are located within short range of the town centre. If you are looking for neighbourhoods with lots of hotels, Dongcheng - Wangfujing is hard to go past. There are 216 places to drop your bags and lay your weary head here. 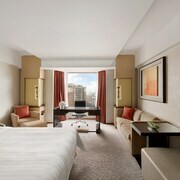 Choose from a number of places to stay, including the Asia Pacific Building Hotel and Grand Hyatt Beijing. Also popular with travellers is North Chaoyang, an alternative Beijing accommodation district around 9 kilometres from the middle of Beijing. 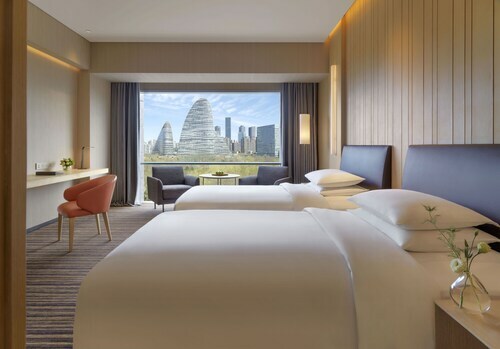 If you're keen on basing yourself in this neighbourhood, check out the Pangu 7 Star Hotel and InterContinental Beijing Beichen. Xicheng and Chongwen are other awesome options. The Beijing Minzu Hotel and Qilu Hotel are in Xicheng. The Kingrand Hotel Beijing and Beijing The Temple Of Heaven Hotel are in Chongwen. 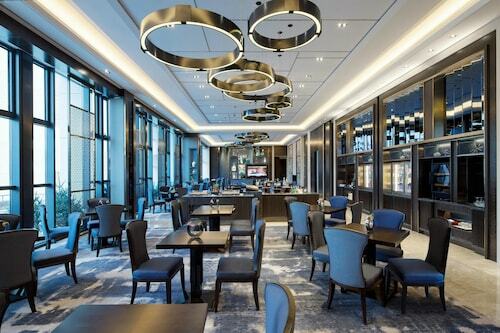 The Merchantel Beijing and Goto Modern Hotel Qianmen - Beijing are located in Xuanwu, while Dahongmen International Convention Exhibition Center and Holiday Inn Temple Of Heaven are part of the Fengtai area. No-one in their right mind would take a trip to Beijing without seeing the Tiananmen Square. 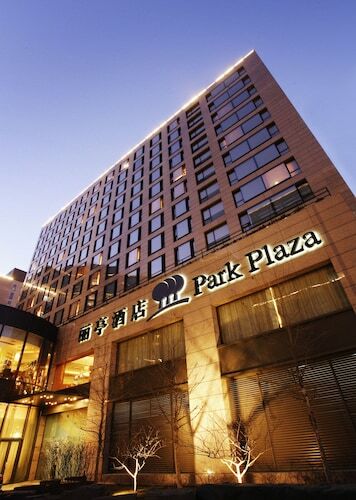 The Rich & Young Seasons Park Service Apartment and Poly Plaza Hotel are within a stone's throw of Tiananmen Square. The Jingmei Hotel - Beijing is near the National Centre for the Performing Arts. 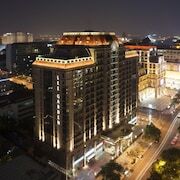 Another nearby option is the Donghua Hotel - Beijing. 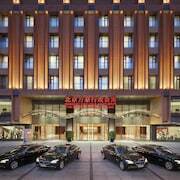 If you'd rather book a room near Great Hall of the People, you could try the Beijing Jiaxin Hotel Apartment or the Huafu International Hotel - Beijing. The Gate of Heavenly Peace and the Chairman Mao Memorial Hall are two more popular Beijing attractions. 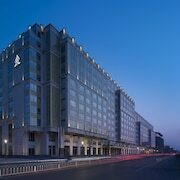 The 161 Hotel and the Wanfangyuan Business Hotel - Beijing are close to the Gate of Heavenly Peace. The Beijing Wangfujing Dawan Hotel and the Far East Hotel, are near the Chairman Mao Memorial Hall. 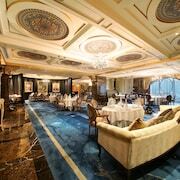 The Shanshui Boutique Hotel Qianmen - Beijing and Qian Men Jian Guo Hotel are convenient options should you decide to choose a hotel within a short stroll of National Grand Theatre. 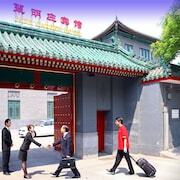 The Beijing Shindom-Tao Ran Ting Hotel and Beijing Shindom Taoranting Branch are within an easy stroll of the Beijing Working People's Cultural Palace. 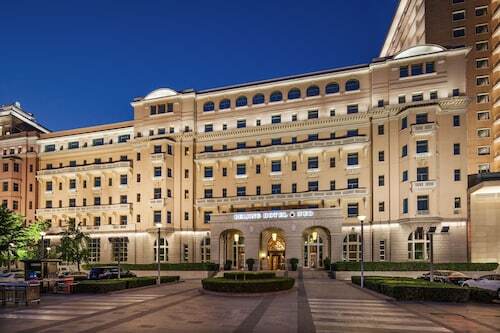 Those who are in Beijing for Huabiao could book a room at the Beijing Hyde Courtyard Hotel and King's Joy Hotel. 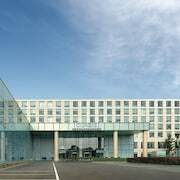 Alternatively, if you are interested in staying near the Zhongnanhai, your most convenient accommodation options are the Beijing Shindom - Zhushikou Hotel and Jingtailong International Hotel. 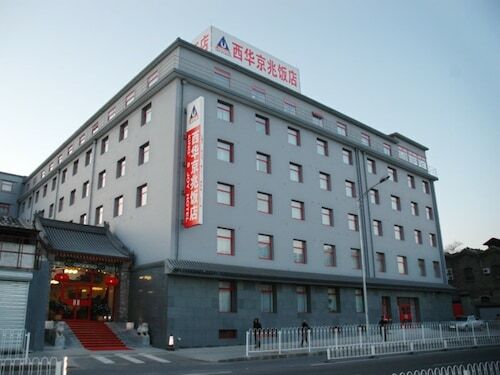 The Jing Tian Ming Tian Hotel is situated 9 kilometres from the main part of Beijing. Alternatively, the Beijing Jialihua Hotel is located 12 kilometres away. The NUO Hotel Beijing and the Hanting Express Inn Jiuxianqiao - Beijing are some other places to book accommodation around Beijing. If you still have some puff left, make sure you see more of the Beijing region. 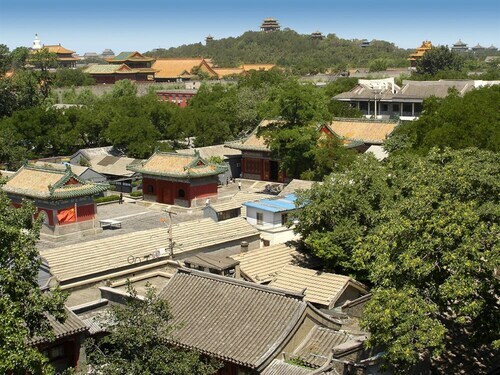 Check out the historic palaces and temples in Beijing, and admire the region's lovely steppe. In this section of China, tourists might also partake in bungee jumping. Positioned 55 kilometres to the northwest of Beijing is Sanpu, which offers a range of accommodation options. 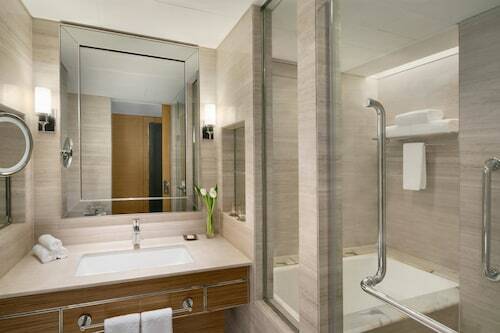 Options here are the Juyongguan Great Wall Hotel - Beijing and Beijing Greatwall Hotel. Before you say "see ya later" to North China, make sure you catch some sport. Find National Aquatics Center to the north of Beijing. The Crowne Plaza Beijing Sun Palace and the Super 8 Hotel Hepingli - Beijing are good options if you want to really get into your sport. Capital International Airport is the most practical airport for transiting in or out of Beijing and is 25 kilometres drive from the CBD. 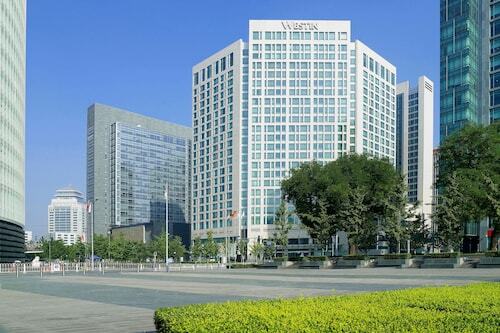 If you choose to stay nearby, try the Hilton Beijing Capital Airport or the Langham Place Beijing Capital Airport. Hotels in Beijing start at NZ$67 per night. Prices and availability subject to change. Additional terms may apply. This hotel would have been impressive in its day but in good need of a makeover. Not sure if any rooms have had an upgrade but ours was tired. Very spacious and comfortable though. Staff pleasant and lobby bar a great place to rest weary feet after a long day out. Would stay again. 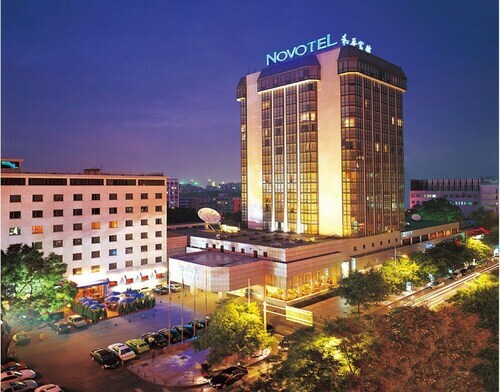 Very new hotel with good service, both the gym and swimming are great.